LITTLE ROCK — Counties and cities across Arkansas are poised to hold accountable the nation’s leading pharmaceutical companies over their misleading and deceptive marketing of prescriptionopioid painkillers. 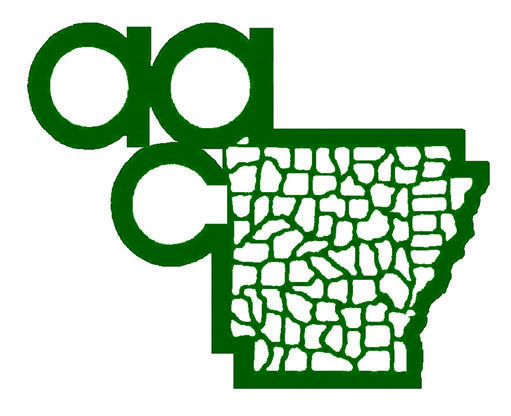 In a unique and strategic move, the Association of Arkansas Counties (AAC), Arkansas Municipal League (AML), and Arkansas Public Entities Risk Management Association (APERMA) have retained the same outside law firms to pursue litigation against the drug companies on behalf of the local governments of Arkansas. To date, 69 of the state’s 75 counties have signed on to the litigation. Cities and towns are strongly represented in the litigation, as well. “AML membership comprising more than 80 percent of the population living in Arkansas’ cities and towns have signed contracts and joined the Arkansas opioid litigation,” said AML Executive Director Don Zimmerman. Cumulatively, the AAC, AML, and APERMA represent virtually every city and county in the state of Arkansas. This unique legal collaboration brings together county judges, mayors, sheriffs, police chiefs, fire chiefs, first responders, and coroners — officials best positioned to lead the charge against opioids. As a unified force in this litigation, local government in Arkansas will have the ability to end this high-priced epidemic and to heal our communities from the ravages of opioid abuse. The AML, AAC, and APERMA were encouraged last week when Arkansas Attorney General Leslie Rutledge announced her intention to launch an investigation into the opioid crisis. Throughout her time in office, Rutledge has been a leader in response to the opioid epidemic. She introduced a first-in-the-nation educational tool — Prescription for Life — that is free to high schools across Arkansas. Additionally, the Attorney General sponsors statewide drug take-back initiatives and the annual Prescription Drug Abuse Prevention Summit. The summit provides free training and educational opportunities for law enforcement officers, medical professionals, pharmacists, and educators on prescription drug abuse prevention and treatment. Given the Attorney General’s vast knowledge and expertise on the matter, the state’s investigation adds strength to the opioid litigation that is unprecedented. We laud Attorney General Rutledge and her office for taking a stand for Arkansas. Arkansas Governor Asa Hutchinson and Arkansas Drug Director Kirk Lane also have shown great leadership in response to the opioid epidemic. Governor Hutchinson and Director Lane have supported legislation allowing pharmacists to dispense naloxone — an antidote for opioid overdose — without a prescription. They also helped establish a statewide protocol for tracking the prescribing and dispensing of opioids, allowing law enforcement to watch for trends and anticipate problems, and they have worked to establish more drug courts, among other initiatives, to combat the opioid epidemic. “Our hope is to work cooperatively with all governmental entities in Arkansas that have been affected by the opioid epidemic, including the state,” said AAC Executive Director Chris Villines. Unity among Arkansas counties and cities has created a force to be reckoned with that can put an end to this epidemic. “Through cohesion and cooperative efforts, we hope for a united Arkansas approach to this litigation that would force drug companies and the courts to take Arkansas seriously — cities, counties, and the state,” Villines said.